I just came back from a weekend trip to Chicago, and during the short period that I was there I was able to visit a few landmarks, including the Field Museum, the Willis Tower, Grant Park and Museum Campus, and Millennium Park. Within Millennium Park is a sculpture that, according to Time Magazine, became more of "a destination than a work of art." 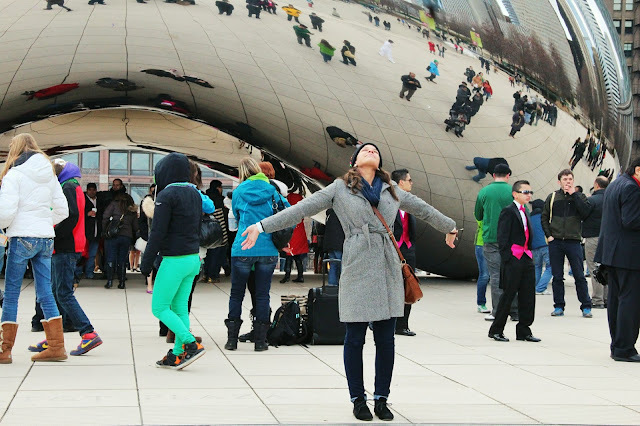 That sculpture is Cloud Gate, and its magnificence warrant a blog post for its own. 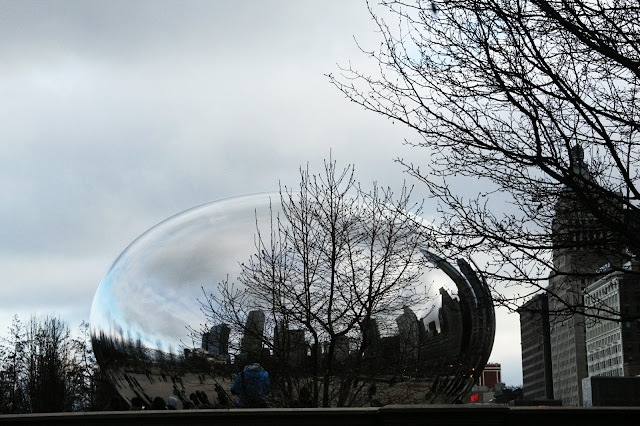 Cloud Gate was the brain child of British artist Anish Kapoor. Made of polished stainless steel plates, the sculpture - inspired by liquid mercury - reflects and distorts the surrounding buildings and people that mill around it, giving a surreal and other-worldly reality to the viewer. 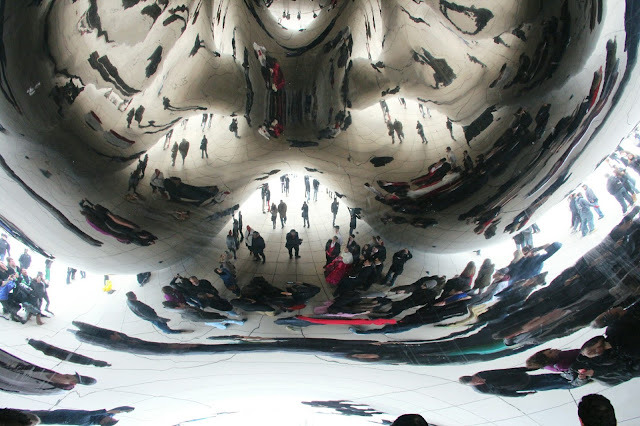 Kapoor is said to have referred to it as a gate that bridges the space between the sky and the viewer . It became my favorite public art as soon as I saw it. 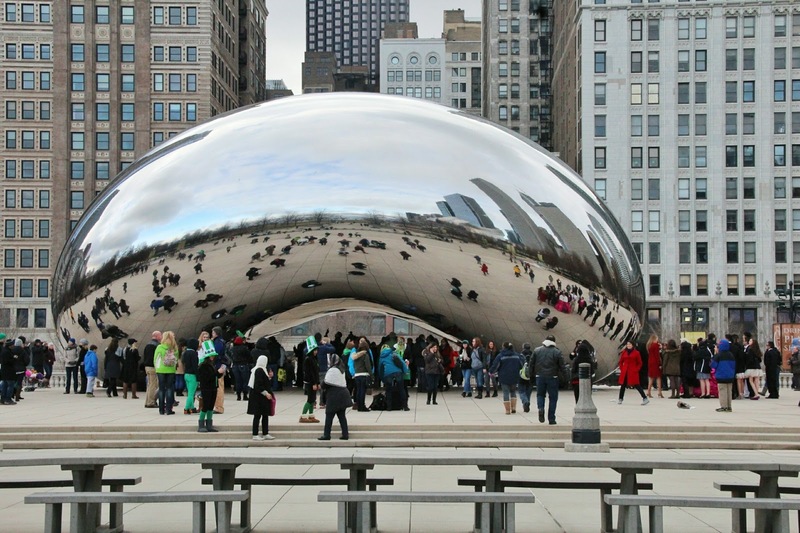 It is known to the locals as "The Bean" because its arch shape is reminiscent of a legume. It is what I told the cab driver when he asked me where I wanted to go. I simply said, "The Bean" and he knew right away. I was also told that this was featured in the Jake Gyllenhaal movie Source Code. I couldn't even remember. Beneath the 12-ton sculpture is the "omphalos," a hallow chamber which further distorts and warps the reflection on it. Many people, including me, inside the the chamber to take photos and to watch the fascinating warped shapes that move and stretch when you move or change your point of view. There was even a newly wed and their entourage having a photo shoot under the stainless steel orb. 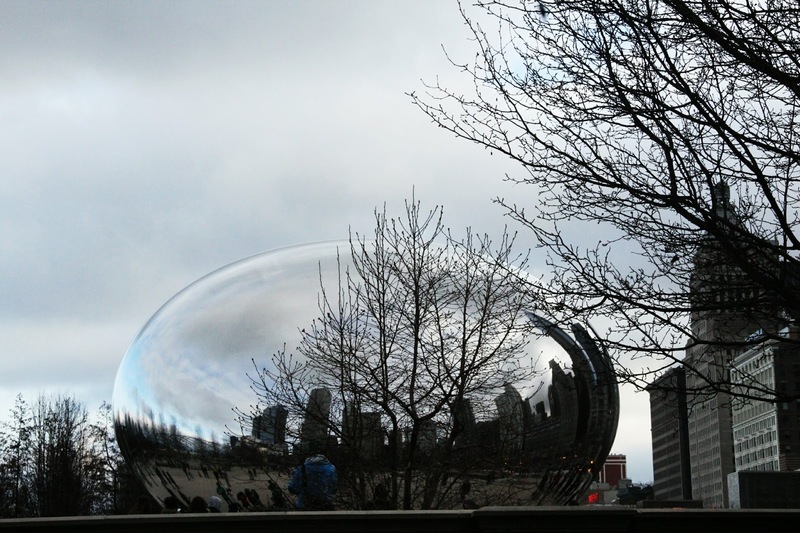 My favorite image of the Cloud Gate is actually when I was just about to leave the park and I was heading to Michigan Avenue. Passing on its side, I snapped the photo below. 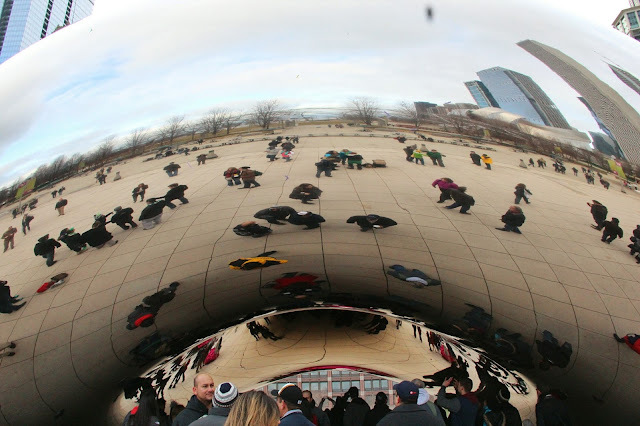 Cloud Gate looked like a distorting lens, like a drop of water on a picture. It is actually showing the warped reflection of the skyline behind me. 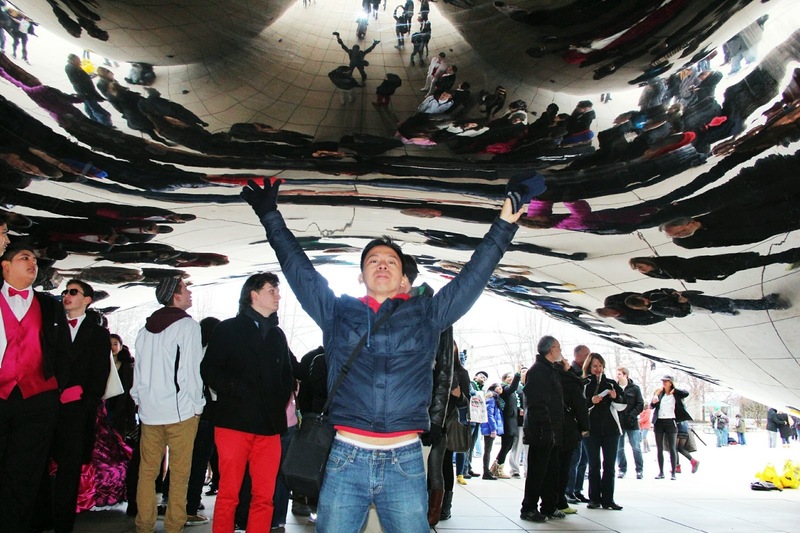 Cloud Gate is installed in the AT&T Plaza of the Millennium Park in Chicago, Illinois. If taking the subway, get off Madison/Wabash and walk towards Michigan Avenue to the park. Madison/Wabash is serviced by the Brown, Green, Orange, Pink, and Purple Lines.